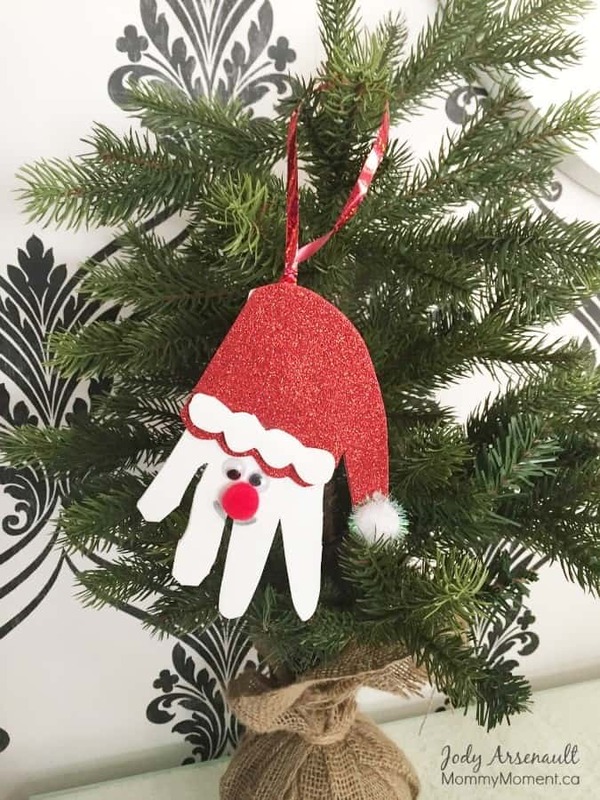 I love this Santa Handprint Ornament because it is so EASY to make and it does not make a big mess. (If you are not in a big hurry, be sure to try this DIY Salt Dough Handprint) HANDPRINT and FOOTPRINT crafts make the best keepsakes! Trace the child’s hand onto the white foam board and cut it out. Use the first cut out as a guide to cut out another one on the red foam board, Cut out the thumb, but do not cut out fingers on the red one, just cut curves where the fingers would be. Cut out the santa hat trim from the leftover white foam board. Place glue on the top of the white hand cut out except for the fingers. Place the ribbon at the top to make a loop and glue the red piece on top. Glue the red pom pom on as Santa’s nose and the white pom pom on the end of the thumb as the white tip at the end of the hat. Glue on the googley eyes and draw on the mouth. 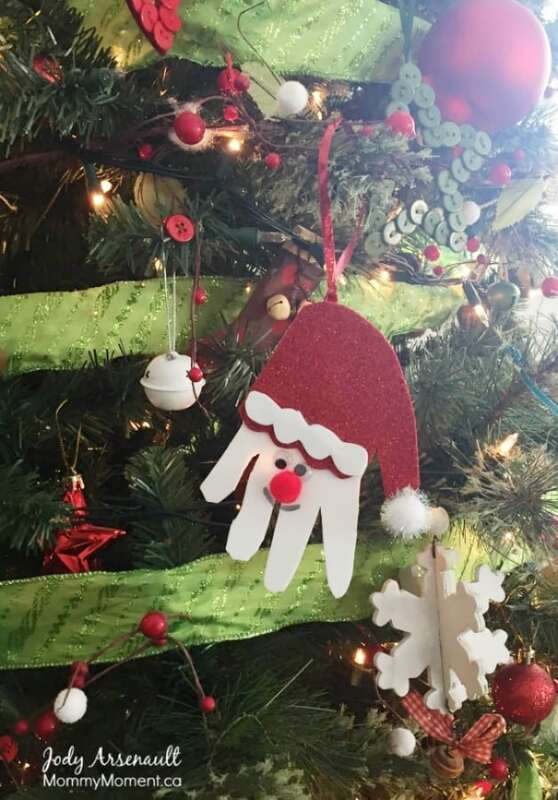 Let dry, then hang up your adorable Santa Handprint ornament on the Christmas tree and enjoy! 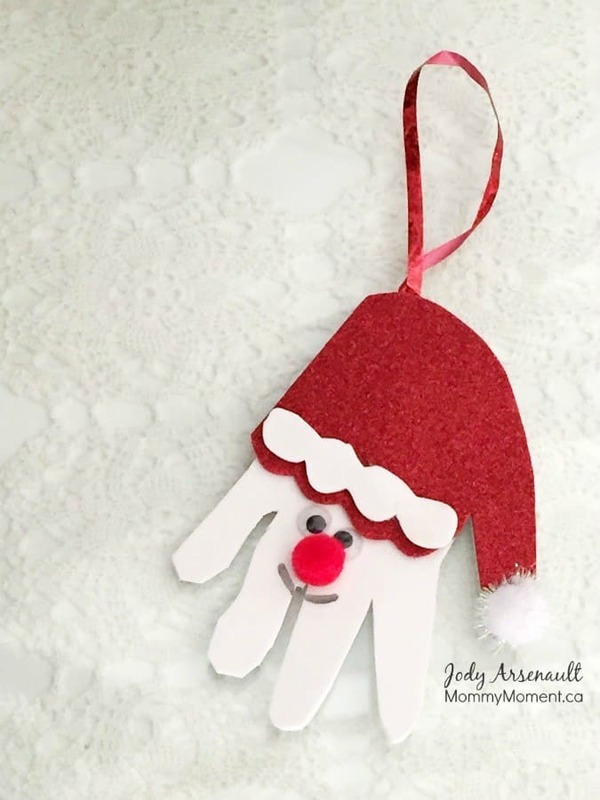 We hope you enjoy this easy craft for Christmas, handprint crafts are a favorite and this one will be a wonderful keepsake for years to come. I love your kids homemade craft posts when my girls were little our tree was decorated in all their homemade stuff. 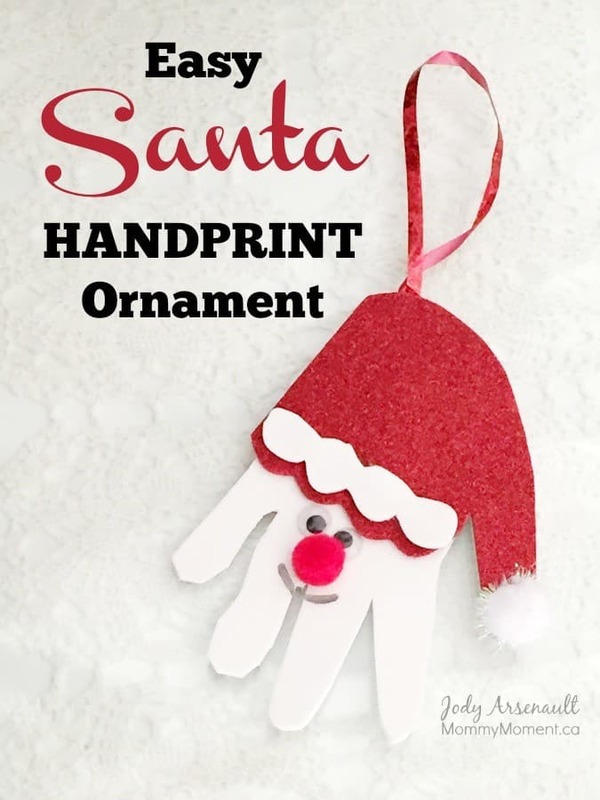 This Santa handprint ornament is so cute, I can’t wait to make them with my grandson, thanks! Adorable, good theme tree granddaughter decorations.